Clearly illustrate each stage of mitosis using this colorful model and the accompanying manipulative sets. The 34" diameter model features durable plastic pieces that attach to the blackboard and can be seen throughout the classroom. 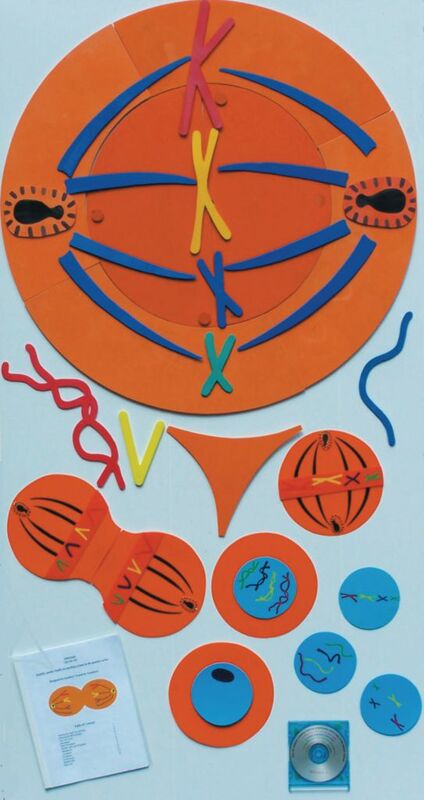 Students can follow along using individual manipulative sets as the teacher creates larger presentations of mitosis stages and explains how each state occurs. This instructive and interactive demonstration accommodates various styles of learning. Ordering information: This model includes one teacher manipulative set, six sets of student manipulatives, an instructional video, and a manual.